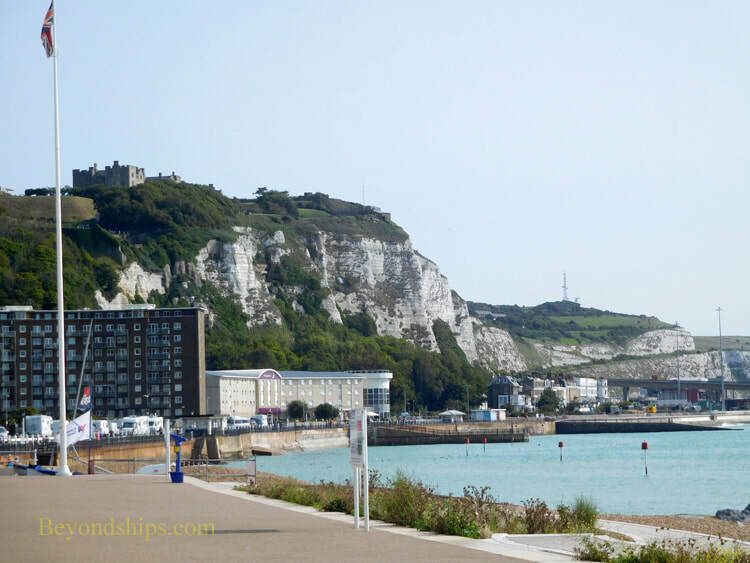 The second of the major cruise ports serving London, Dover is located approximately 75 miles southeast of London on the Straits of Dover at the northern end of the English Channel. 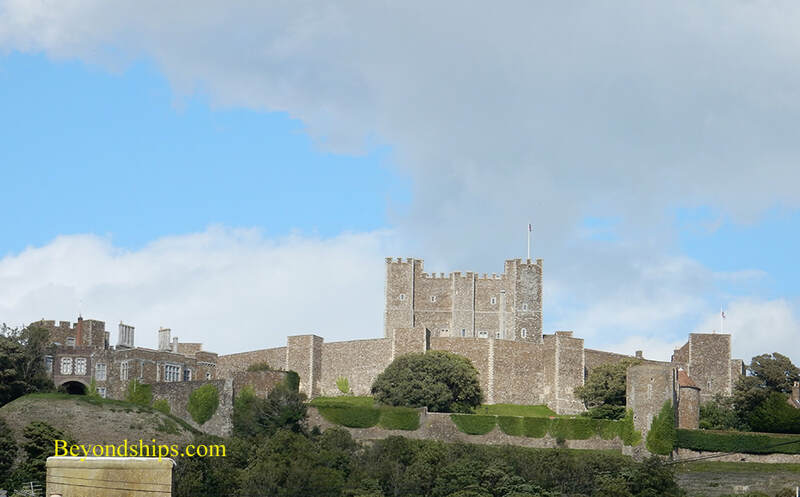 Dover is an ancient port, mentioned in the writings of Julius Caesar. Since it is located at the closest point between England and continental Europe it has played an important role in English history with various monarchs setting forth on campaigns or arriving back home via Dover. In fact, it is so close to France that the Germans were able to shell Dover with cannon from occupied France during World War II. 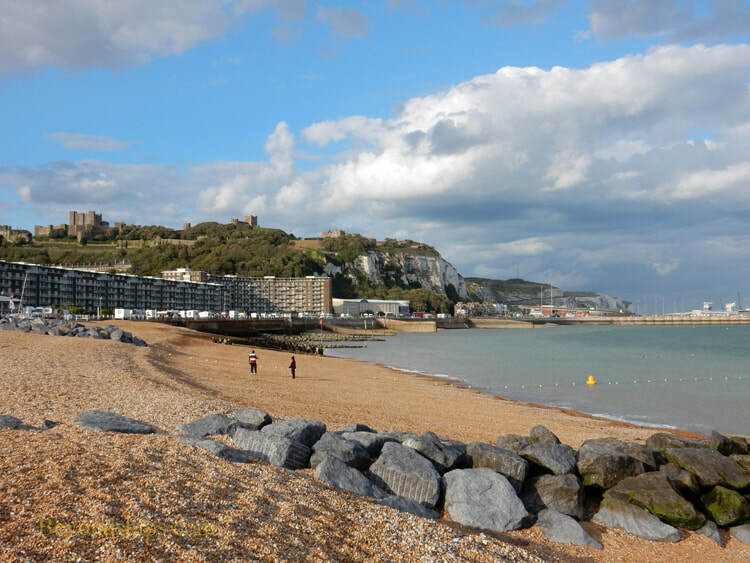 Because of its historic importance, there are some tourist attractions in and around Dover. Dover Castle, begun by Henry II, looms over the city. There is also an ancient Roman villa dating from 200 A.D called the Roman Painted House. Dover sits in a dip of the White Cliffs of Dover so there are cliffs on both sides of the city. 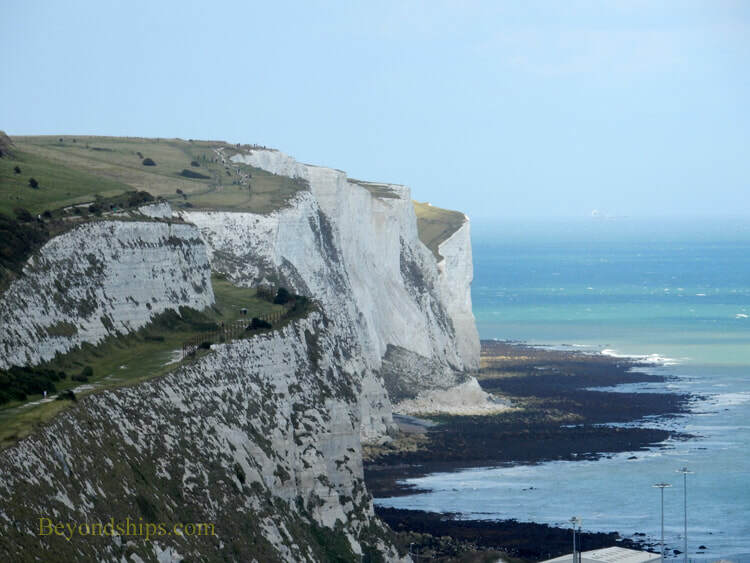 These vertical chalk cliffs rise some 320 feet above the sea and were the first sight of home for sailors and later airmen returning home from Europe for centuries. 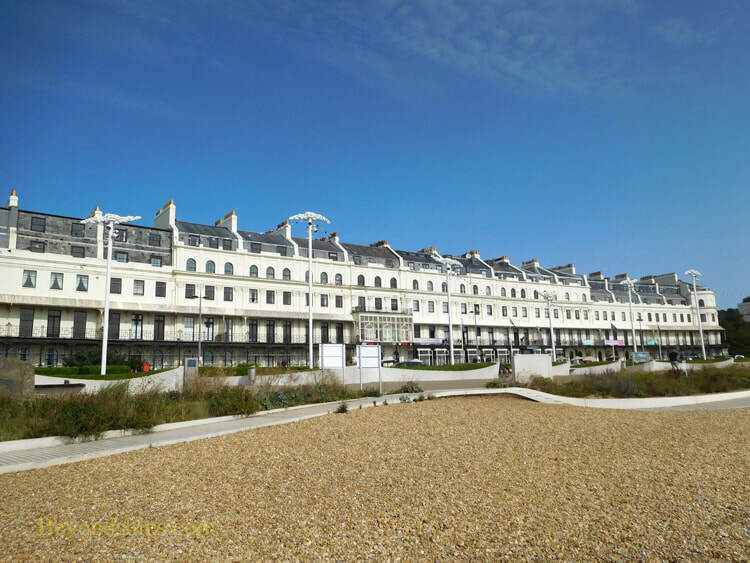 An esplanade runs along the seafront with hotels, cafes and restaurants on one side and a pebble beach on the other. As a result of redevelopment projects, the Seafront area is quite attractive. A pedestrian tunnel under the A 20 road connects the Seafront to the remainder of the city. 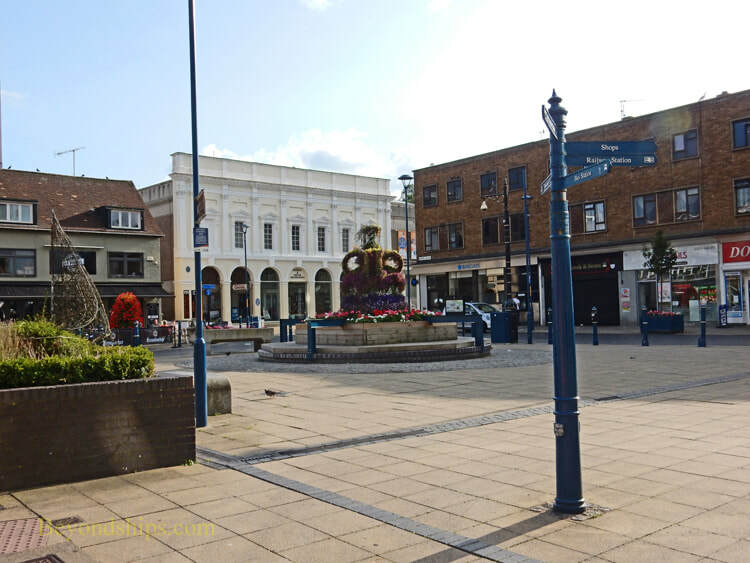 It is a walkable town with some interesting historic architecture. Dover's natural harbor was quite small so it has been artificially enlarged over the years. Sea walls extend out into the water on either side with another sea wall (with openings) across the mouth of the harbor. Prior to the opening of the Channel Tunnel in 1994, people traveling to or from France usually took a ferry from Dover. Anticipating that the tunnel would end the ferry trade, the authorities in Dover decided to diversify by encouraging cruise ship calls. Surprisingly, the ferry trade has continued despite the tunnel and so now Dover has both ferries and cruise ships. Dover is not a large city. The city and its surrounding communities have a population of about 40,000. ​Dover's two most famous attractions are Dover Castle (above) and the White Cliffs of Dover (below). Above: The beach in Dover harbor. ​Left: A panoramic scan of Dover Harbor.